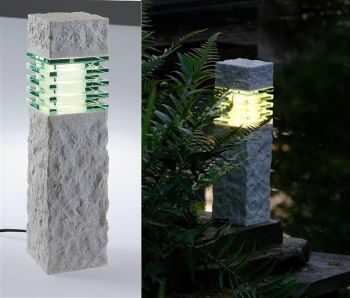 The stone effect LED Pillar light stands 40cm tall and is constructed from robust weatherproof polyresin and tinted glass. 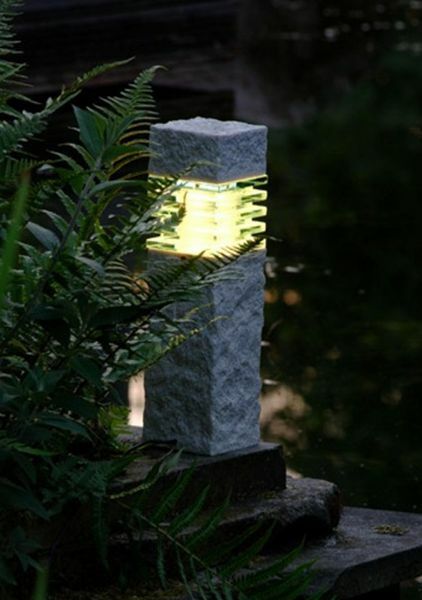 The 2 watt LED post light is perfect for gently illuminating walkways, doorways and patio perimeters. This Plug & Play light is supplied with 2 metres of low voltage cable and the threaded terminal is designed to connect to any of Water Garden’s Plug & Play spotlights and 12V lighting accessories such as transformers, extension cables, cable splitters and remote controls. The Pillar Light measures H40cm x W11cm x D11cm. A 60cm tall Pillar Light version is also available.